Kid City is a place where children are inspired to live for God and are taught to be a light to the world. Our passion is teaching children to love God and love their neighbor! We empower kids to become winners through the example of Jesus. We are changing kids’ lives by showing them fun new exciting ways to serve God, while leaving kids with an unforgettable experience in their walks with God. We create a fun, engaging atmosphere where children participate in high energy worship, powerful prayer, exciting interactive bible stories, amazing games, lots of fun, and leadership opportunities that help develop their talents and gifts. We captivate their hearts through the message of Christ in an innovative way. 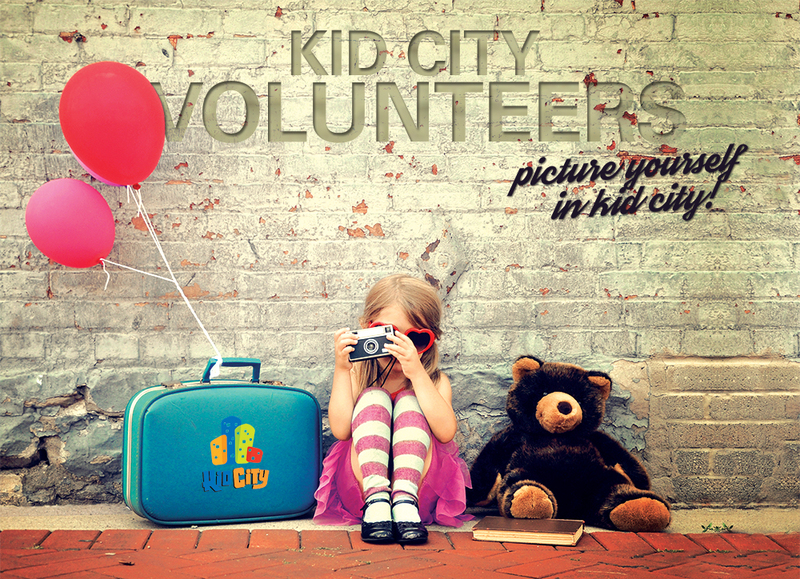 Become a Volunteer for Kid City!